Animal rights is something that I’m very passionate about, and it’s something that I think we all need to fight for. 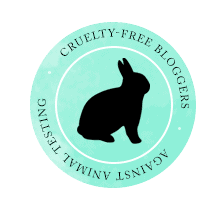 So, today I want to share with you a few easy ways to fight animal cruelty and how to get involved in animal rights activism. If we all do our own part, we’ll put an end to cruel industries a lot faster. A lot of people are unaware of how they can help, so here are a few of my tips! The best thing that anybody can do to fight animal cruelty is to live a vegan lifestyle. By adopting a plant-based diet, buying cruelty-free and vegan, and not supporting animal exploitation (like circuses, zoos, aquariums, marine life shows, dog/horse races, etc. ), it’s making a huge difference. The only reason these cruel industries continue to do what they do is because we pay them to do it. It’s all supply and demand — if we choose not to support these industries, then changes will have to be made. The best form of activism is where we spend our money. So, by choosing vegan foods and products, it sends a direct message to these industries that animal cruelty is not acceptable. Living a vegan life is easier than most people think. There’s amazing alternatives to almost every animal product, so there’s really no excuse not to choose a vegan lifestyle. Signing petitions is also another great way to fight animal cruelty. It’s so easy to sign your name to something that’ll hopefully create some good. And it can be done every day; it only takes a moment to sign a petition, so if you take a few minutes every day to find and sign a few petitions, you’ll be helping more than you know to put a stop to all kinds of animal cruelty. A couple of really great websites to find petitions are Change.org and Care2. There are all kinds of petitions on these websites that are working to help animals. If you can, consider getting involved in animal rights organizations. There are all kinds of animal rights organizations around the world, but two very popular ones that can be found in many different countries are Anonymous for the Voiceless and The Save Movement. Anonymous for the Voiceless specializes in street activism (you don’t necessarily have to talk to the public — you can also wear a mask and hold up signs and videos for people to see, with a group of course), and The Save Movement focuses on bearing witness to animals on trucks before going into a slaughter house (this is a good way to show the animals some compassion before they’re killed — something that most of them have probably never experienced in their few months of life — and take pictures to spread the word and show people that the food they eat is coming from real animals who are scared, feel pain and sadness, and don’t want to die). These worldwide organizations and the many other individual organizations in cities all around the world do a lot to help end animal cruelty. If you’re not able to get involved with public activism right now, you can also share petitions, facts, and all the information that you know/are learning about animal cruelty and various industries on social media. Social media is a very powerful tool that can spread a message and information quickly. Plus it doesn’t take much time; so even if you’re busy with school, work, life, etc. you can still be involved in animal rights activism. A really simple way to fight animal cruelty is to wear shirts, hats, etc. in support of animal rights — like being vegan, buying cruelty-free, boycotting cruel industries, being anti-fur/leather/wool/down/etc., and more. This is such a good way to spread a positive message while hopefully helping to open the public’s eyes about these industries. And for people who are quiet, shy, or have anxiety, this is a great form of animal activism because there’s no confrontation involved (not that there ever has to be from the activists perspective; but some people tend to get quite defensive when you show them what they’re contributing to). Finally, try to educate your friends and family about the cruelty involved in the meat, dairy, egg, etc. industries and to animals who are tested on and exploited in other ways. Tell them what goes on in these cruel industries, including the meat and by-product industry, animal testing laboratories, the fur/leather/wool/down industries, circuses, zoos, aquariums, dog/horse races, and other industries that use and abuse animals. There’s so much animal cruelty going on in the world all the time and in every industry, but the more people we tell about these industries, the more change will be made. Do you have any tips to fight animal cruelty? Previous Post Mani Monday | White Hot! One more way you can help is to enroll on Amazon Smile. A small percentage (at no cost to you) goes to the charity of your choice. One of those charities is the ASPCA.